Six reasons why Syria 2015 is like Iraq 2003 - and getting more so. "It will make us a target". The Livingstone argument would carry some weight if it was related in any way to the question of effectiveness. If the bombing was an effective option, then not doing so because it might make us a terrorist target would be short-sighted and somewhat dishonourable. 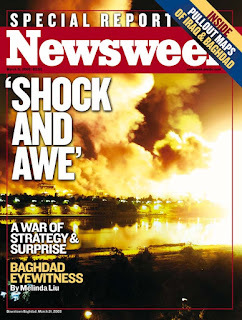 If it wasn't effective, the question of whether it would make us a target is secondary. "If not now, when?" The Cameron argument is also not an argument for effectiveness. If bombing was going to be effective, then it is really irrelevant that there has just been a terrorist attack on Paris. If it wasn't going to be effective, the Paris attack is equally irrelevant." You will gather from this that I'm pretty unimpressed with the argument over Syria. Cameron's dossier is purely a rhetorical flourish, so I remain - like David Davis - pretty sceptical about air strikes. Not in principle, but faced with Cameron's rhetoric, one is forced to the conclusion that there are no arguments for bombing at this time. 1. Our allies want us to. End of story. The main reason the establishment wants to bomb in Syria is that our allies would feel more comfortable if we were also committed. That was the reason for joining in the attack on Iraq too - but it isn't actually a good argument for military engagement. 2. There is a dodgy dossier. Cameron's rhetorical flourish that was supposed to provide an answer to the Defence Select Committee is, once again, not an effective argument. 3. There are no post-fighting plans. No plans for preventing some kind of vacuum, just as emerged so disastrously in Iraq. 4. There is an ambiguous UN resolution. One that appears vaguely to justify military action. 5. There are too many appeals to emotion. Yes, IS does represent a threat to us, and nobody can forget what happened in Paris, but those are not reasons why bombing are an effective response. That case has yet to be made. 6. Both Labour and Conservative are hopelessly divided on the issue. All this seems pretty straightforward, so why is there still an argument? Because the real unstated element here is that our political culture has set itself adrift from arguments about effectiveness. It is the same in so many areas of policy - house prices is just one. Policy no longer uses 'effectiveness' as a currency. It isn't of interest. Nobody believes that Osborne's raft of housing measures will make much difference, any more than they believe that Cameron's bombs will make much difference. But Cameron, like Blair, deals in gestures. 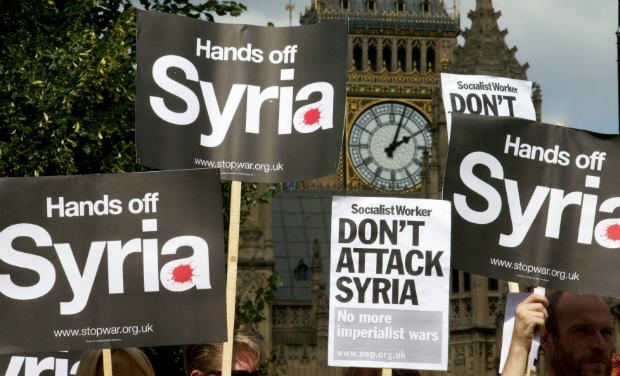 Bombing Syria is a gesture that will make people feel that action is being taken. The fact that it isn't effective appears to be irrelevant - it is justified because the threat is real, not by whether it will tackle the threat effectively. Oddly enough, the Westminster world seems to take all this for granted. They know that military dossiers and autumn statements are dances to the music of gesture. They are designed to give the impression of effective action, without actually being effective - because nobody believes they have the power to be effective. It is a symptom of the catastrophic loss of belief in the political system, not by the excluded, but by the included. For all his undoubted cleverness, and ability to pull the unexpected out of his red box, George Osborne's autumn statement made frustrating listening. More support for 'local growth' but at the same time, more money wasted on roads to make sure the new small businesses and the new enterprise zones are overwhelmed by unrestricted monopoly power in the big centres. In fact, the sheer cussed blindness about house prices is franking astonishing. Does the Treasury really believe all the rhetoric about why house prices rise? Do they not understand that, if you make houses easier to afford, you will simply push prices higher? As for 'affordable home's - it is a fantasy to suggest that just providing 20 per cent off the price will make homes any more affordable. Nor will building more, for the reasons I set out recently. But there are two major frustrations about this autumn statement. The first is the blizzard of pork barrel giveaways to specific places, and funds for potholes, which involves us in another Westminster fantasy: that all good things, all decisions all wisdom comes from central government - and they are received by grateful and passive localities with a cheer and a wave. This is the British disease and one of the reasons why change is so slow in this country. Why on earth is Whitehall constructing a fund to fill potholes, for goodness sake? The other frustration is the growing suspicion that ordinary life is no longer possible, or affordable, without major government intervention. The idea that people earning over £80,000 will require help with buying a home carries within it a hopeless dependency - not just a culture of doing things for their symbolic value, but a worrying look into the future of complete dependence for the majority of people. This obsessive idea that prices represent some kind of underlying reality has priced ordinary people out of ordinary life. It isn't conservatism and it certainly isn't sustainable. This may at first sight to be an obscure topic for a blog post. I might not choose the relationship between time banks and the Department for Work and Pensions as a topic if I really wanted to boost the readership of this blog. But it may turn out to be an issue that really goes to the heart of the future of public services. In some ways, of course, the DWP decision to direct claimants to their local time bank isn't anything new. 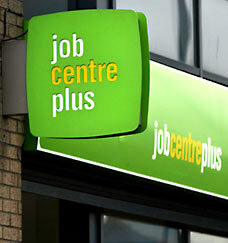 Since 2000, the government has acknowledged that people can take part in time banking while they are on benefits. But BIS commissioned an independent review last year on the sharing economy, and one of its recommendations was that DWP should encourage claimants to take part in mutual support through time banks. It is an interesting area, and growing fast through Europe - see my report for the European Commission on the growth of time banking. There are also developments of time banking through Slivers of Time and through Spice. In the end the statement was pretty non-committal. It wasn't exactly encouragement, but it was certainly a new openness to claimants breaking out of their iron bureaucratic cage and embracing mutual support. But this is where it gets to be difficult. I notice that the statement is only available on the Timebanking UK website, as if the government were dimly aware of the implications too. What if more than ten people pop straight along from their nearest Job Centre to each of the nation's 300 or so pieces of time banking infrastructure? They might be able to cope, but that's about all. Any more than that and they would be overwhelmed. So you have to ask - is this a gimmick? And if it isn't a gimmick, and the DWP really believe that mutual support will help their claimants - and it certainly could - then how can they make it possible to spread the idea more widely? And before you answer 'pay for it', just think about the implications. If the DWP pays for some of the nation's mutual support infrastructure - its co-production infrastructure or its preventative infrastructure - then they will own it. It will come under their minute control and will cease to have the informal flavour that makes it so successful. In any case, most public services need some link to the new preventative infrastructure too, and it is not in the interests of the Department of Health, for example, for these networks to be under any kind of DWP control. This is an obvious example of where the Cabinet Office ought to intervene - to bring all Whitehall's departments of state around the table to think about how, together, they might shape this new mutually supportive, preventative infrastructure. Should it be created by insisting that every public service contractor pays into it? Or shows that they are taking steps to reduce demand during the lifetime of the contract? Or shows how they will involve service users as equal partners in the delivery of services? I don't know, but I do know this. A new, semi-formal infrastructure that involves service users to use their experience and human skills to support each other, especially when people come out of professional oversight, is absolutely necessary. And absolutely inevitable. It will include not just time banking but local area co-ordinators, health champions, friends of hospitals and many other related networks - and it will underpin the sustainability of professional effort. But it won't just happen by itself. And it certainly won't happen when one government department goes it alone, because they don't understand the wider significance of what is going on. Will the real Alan Turing please stand up? I have finally got round to watching The Imitation Game, and the acting is ferocious. Benedict Cumberbatch is completely convincing as Alan Turing and the whole business was extremely moving. I felt I had to watch it last night - having so far avoided doing so - because today I am taking part in the London History Festival and sharing a stage with Sinclair McKay to talk about Turing and Bletchley. I was afraid somebody would ask me about the film. 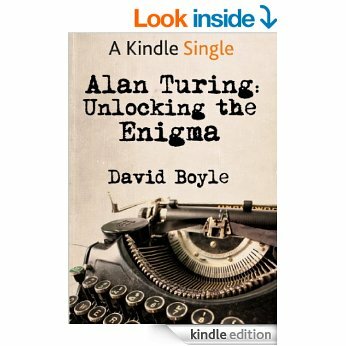 I've been writing about Turing and Enigma for nearly two years now and I didn't want the film to get in the way. But I needn't have worried. The film was so detached from what really happened that it might have been about other events, based loosely around the characters involved. I always find dramatisations of naval history frustrating, because there usually includes lots of very familiar clips that I know perfectly well refer to another time or place, and certainly another ship. Why was the burning of the Graf Spee included in a clip on the later stages of the Battle of the Atlantic, for example? Why did we get so many mock-ups of what appeared to be an American battleship? But you have to expect this kind of thing, What The Imitation Game does is to squeeze the story of cracking naval Enigma into a format where the cast can be extremely limited, and as if the entire war was won by one individual. This is also frustrating, but it gets the gist across. 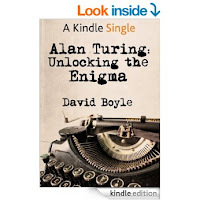 Where the film goes wrong is over the portrayal of Turing himself. My impression is that he was considerably more gregarious, popular and self-assured than he was portrayed here. 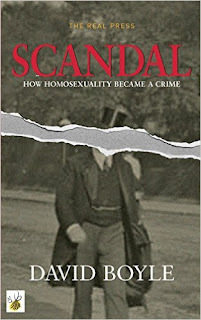 I feel vindicated in this partly by his nephew 's new book The Prof and partly because he was sent to represent the British cryptographers to the USA after they came into the war, and I can't believe he would ever have been entrusted with such a mission if he was unable to handle himself in social situations. But, then, I'm assured by one of my neighbours, whose father-in-law was in the room at the time, that Turing actually ended his engagement with Joan over the phone. So who knows. Either way, we are talking about Turing tonight, so do come along. It is at Kensington Central Library at 7pm (24 Nov). Hope to see you there. 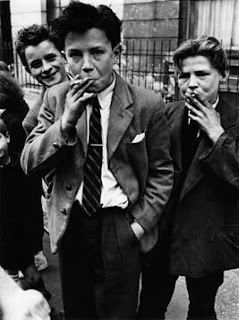 I am having one of those moments of disaffection which is the real experience of English middle class life these days. What do I spend more time doing than anything else, as a parent of pre-teenage children? I'll tell you. I am policing their screen time. It takes huge energy and angst and negotiating skills. It prevents me from being much more productive. I resent it. If it weren't for me on some days, when I'm looking after them by myself, they would spend the whole time being educated by Google and whoever happens to use their facilities. 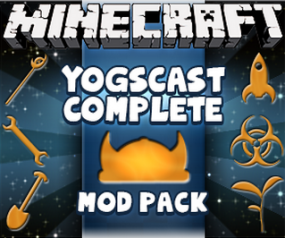 They would be off laughing all night at the pre-teen humour of some of the Youtube stars - Yogscast spring to mind: people from Bristol who swear rather more than they would if they realised most of their viewers were eleven, and who think blowing things up is the apogee of humour. They would be being abused online by their classmates, and - if we make the mistake of reporting the abuse to Youtube, one of those vacant corporations where nobody is at home - we will receive back the empty, helpless silence we have come to expect. I suppose you could imagine a couple of answers to this. First, perhaps I am wrong and they should plug into the virtual world as much as they like, on the grounds that it improves hand eye co-ordination or something or other. Second, a little more seriously, I should set more elastic limits because they need computer skills if they are going to achieve the school system's highest ambitions for them - and become either a scholar or a machine minder (no other alternative seems to be encouraged). Third, why should my children be different? How dare I cut them off from what is laughingly called kid's culture, as mediated by Murdoch and his equivalents. You only have to write those out to see they have flaws. Don't they - or am I wrong? It is true that I was probably glued to screens more intently than they were at the same age, but with more control over what I am seeing. But what really annoys me about this is that we kind of assume - as middle class types - that the government is at least vaguely on our side, shares our values, wants to support us to bring up our children in the best way that we can. The government is firmly on the side of the screen pushers. The school system is dedicated to buying and pushing more Apple iPads - Apple itself acknowledges that their profits for iPads in 2013 were boosted by the UK school system. Whitehall isn't interesting in my family life, They want my children to be entirely open to whatever rubbish sells more schlock. 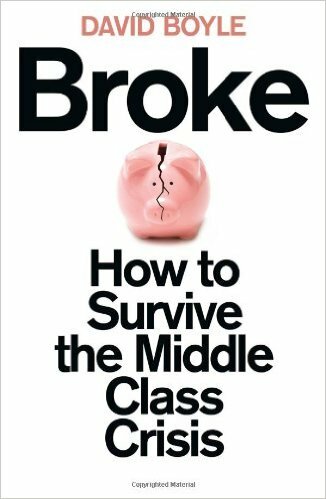 I wrote in my book Broke last year that UK governments had long since turned their back on genuine middle class values. I don't think I understood the half of it. Thank you, crowdfunders - I will do you proud! I haven’t crowdfunded a book before. It has its embarrassing elements, asking friends and family for money for example – something I try hard not to do in normal circumstances. But I am now down to the last 48 hours of the project to crowdfund a short ebook about the Room 40 naval codebreakers in the First World War, and the fascinating lessons they provided for Turing in the Second. It is called Before Enigma. And I've found it quite exhilarating. There is, in fact, still time to contribute, should you be so moved. And although we may not finally reach the publisher’s target, we are now approaching enough to kickstart the project. It will provide a way of understanding Turing and the Enigma codebreakers a generation later, because those who managed him cut their teeth in Room 40. It will tell the fascinating story of the war at sea – rather ignored by the BBC these days – through the eyes of the peculiar bunch of brilliant amateurs collected together by the Admiralty to crack codes from 1914 onwards. It will allow me to tell the tale which fascinates me most – the emergence of the twentieth century phenomenon: the huge hierarchical corporation (in this case, the fleet) and how the mavericks learned the hard way how it might be provided with the information it needed to be effective. It is a lesson we keep forgetting, even in the twenty-first century. A Liberal economic breakthrough. It’s about time. There may not be any obvious traction that the Lib Dems are bringing to themselves at the moment, no obvious attention from the media or speaking for the nation. But there are shoots emerging. One of these was the speech on economics that Tim Farron made today at IPPR in London. The most important element of this story is the mere fact that Farron chose economics for his first keynote speech. But it was also important the way he framed it – the idea of Liberals as the party of challenge, of enterprise and entrepreneurs, as the "party of Small Business, the party of wealth creators, the insurgents, the entrepreneurs". “The Liberal spirit is the entrepreneurial spirit and entrepreneurs are natural Liberals,” he said. Quite so. It is important because it is both positive and forward-looking, and rooted in traditional Liberalism – and, because the party has been timid about economics in recent decades, this is for me something of a breakthrough. He also understood the implications of this stance for the banks. It is indeed extraordinary that the government is not breaking up the failed brontosaur RBS to turn it into an effective regional lending infrastructure – that the enterprise economy so badly needs. By coincidence, the Welsh Lib Dems have launched an excellent paper on how to rebuild diverse high streets – and Wales has been more wedded to the failed out of town retailing regeneration ‘solution’ than almost anywhere else in the UK. So this is rather a good day, as far as I’m concerned. It is a long-awaited glimpse of a different approach to economics, understanding for the first time in half a century that the main economic purpose of Liberals is to promote diversity and fight monopoly. I have always been fascinated by those social movements that rise and fall, leave their mark permanently, and are then forgotten. I have had a soft spot for the 1920s movement Kibbo Kift as a result. So imagine my surprise when I opened my Guardian last week and found a big feature about them, and their charismatic leader John Hargrave. I dropped everything and read through it immediately. There are three reasons why I’m especially interested in this peculiar mixture of Scouting, Egyptology, outdoor ritual and back to the land. First, because it was an early breakaway from the Boy Scouts (Hargrave had been a frustrated head of camping). Second, because of their amazing sense of design. The logos look modern ever now, with just a hint of Art Deco about them. 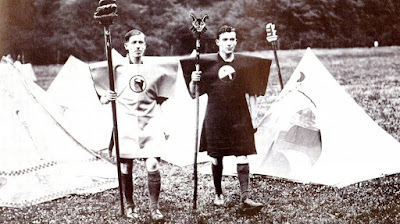 Third, because Hargrave changed his mind – transforming Kibbo Kift overnight in 1929 into the militaristic Greenshirts, much more numerous than the Blackshirts, dedicated to changing the money system to prevent banks from creating money, in the way that they do now. The article did not communicate all of this (this isn’t a criticism). 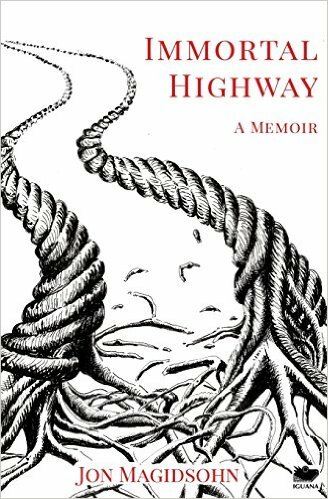 But it is hard to quite recreate what Hargrave meant because, as D. H. Lawrence used to say, he spoke in a kind of sloganising gobbledegook. 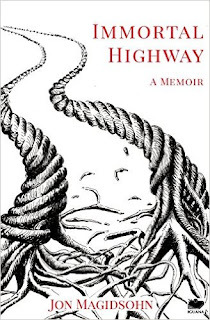 It is also, in my book, not exactly ‘back to the land’, which is about growing things. Hargrave was more part of the conservation movement. He wasn’t interested in crops, just – in that rather Germanic, Romantic way – that it was important to be outside. Being outside is important, but not as a relief from modern, urban life, it seems to me – but as a way of reforming it. Why am I writing this? Because it seems to me extraordinary that we allow ourselves to forget these movements, because they carry within them important truths which have to be reinvented all over again by the next generation. Especially, it seems to me, in economics. I hereby dedicate myself to the task of economic archaeology – the exhuming of forgotten innovations which our economics establishment was just too boneheaded to notice or discuss at the time. David Cameron has promised to come up with a strategy for bombing in Syria. This is a peculiar idea in itself: a strategy for defeating IS makes sense - so does a strategy to bring peace to the Middle East - but a strategy to explain the importance of bombing sounds like putting the cart before the horse. There may, after all, be an overwhelming argument for bombing in Syria, but there are three reasons (at least) why it makes sense to stay sceptical. My test of the present effectiveness of the House of Commons as an institution is about how long it manages to stay sceptical, and to think clearly. We have never depended on the independence of our MPs as much as we do now. 1. He is actually planning to intervene on a different side. Despite the rhetoric of going back to the Commons for a second time to ask for permission to bomb, the commentators seem willing to forget that - last time - the idea was actually to bomb on behalf of the other side. The plan then was to bomb Assad's government forces. Now the plan is to bomb their enemies. Who will it be next time? Has anyone ever actually thought through this conflict clearly? 3. We need to act; this is action - it isn't a convincing argument. Yet that is the one that Cameron wielded today. It makes no sense by itself, and when a prime minister falls back on that kind of logic, you begin to wonder if any thinking is going on at all. It may be that the conclusion is that we should intervene in Syria, but the fact that our allies are asking us to do so is not an argument. It is just evidence that Cameron has caught Tony Blair-Disease: an inability to distinguish between British interests and what our most powerful ally happens to want at any one time. What would be a strategy to defeat IS and to build peace in the middle east? Is the UK government up to the task of thinking for itself? Is there a strategy that, rather than buggins turn to bomb, might stand some chance of making a difference? I think we should be told. People don’t seem to listen much to Noel Coward these days, but he remains a great favourite of mine and I happened to be listening over the weekend to his wartime song ‘Could you please oblige us with a bren gun’. I’m not sure when the song was written, but it refers to the Home Guard and their woeful, not to say farcical, lack of equipment. I suddenly heard the song from the modern point of view, and the obsession with the corporate need to be ‘on-message’, and how often it has the opposite effect. It struck me that there might be a clue here about how a Liberal society fights a war – with humour, openness, truth. But even so, I don’t suppose there is another nation on earth which would dare allow a song, at that moment, about how badly prepared we were for invasion. I’ve been asking myself these questions after hearing President Hollande describing the Paris attacks as an “act of war”. We know that Liberalism is a political creed that thrives in peacetime, but can struggle in war. The First World War disposed of Parliamentary Liberalism almost permanently, dividing it ideologically. It was hard for Edwardian Liberals to contemplate conscription. Nor could Liberals embrace the implications of the Western Front. But is it really true that Liberalism can only tell us about peaceful societies? Has it got nothing to say now, for example, beyond a hopeful plea to ‘hold together’? 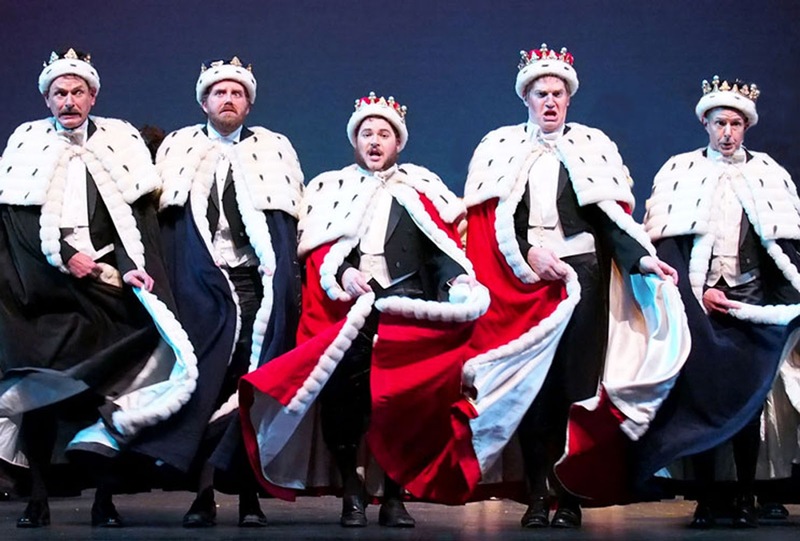 But Noel Coward’s song was a clue for me about what makes this Liberal defence possible. Tolerance of human frailty has to be protected, so does humour - not humour for the sake of humour – but the kind of humour that allows us to survive as a nation. But the other, fiercer Liberalism is represented by the great Liberal philosopher Karl Popper. Liberal societies, as he defines them, are those which make it possible to challenge from below, to question elites, to ask difficult questions. They can learn from mistakes faster, and in the end that makes them effective. You only have to only to read Anthony Beever’s book Stalingrad to see what happens when two dictators slug it out with millions of men at their personal whim, fighting inefficiently and brutally and inhumanely in the snow. Put like that, the Second World War was won because one side was Liberal enough to learn from their mistakes. The same I believe will in the end determine victory over IS. 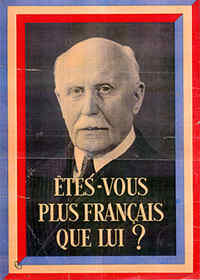 But there is one other lesson from Liberalism implied by Popper. I that if (heaven forfend) one of the Paris terrorists happens to be sheltering in the cellar of my office, then I know – or I think I know – that the government will not sacrifice my life to kill him. I also know that, if I lived in some parts of Pakistan, those rules are somehow considered not to apply to me. They won’t be happy to sacrifice my life, but they may still do it. Because it is a long way away? Because human life counts less there? Because they prefer not to think about how counterproductive this sacrifice might be? But then, we live in a Liberal society where we learn faster because people are allowed to ask difficult questions. That is, paradoxically why we will win, so I'm asking this one. Because, the other Liberal lesson for effective war is that it matters very much - and for practical reasons - how you fight it. Imagine the scene. It is wartime, and the stakes are high in the Atlantic and the North Sea. At the British fleet anchorage in the Orkneys, known to history as Scapa Flow, the signal lamps flash messages across the dank mist, unaware that they possess the most extraordinary weapon, utterly secret and also unprecedented in modern naval warfare. Unlike the wartime sailors of other previous generations, they can listen in to the hour-by-hour thoughts and orders of the other side and act accordingly. Not in the ships, perhaps, battling against the salt spray in the moment of battle, but via their own signals to the Admiralty. 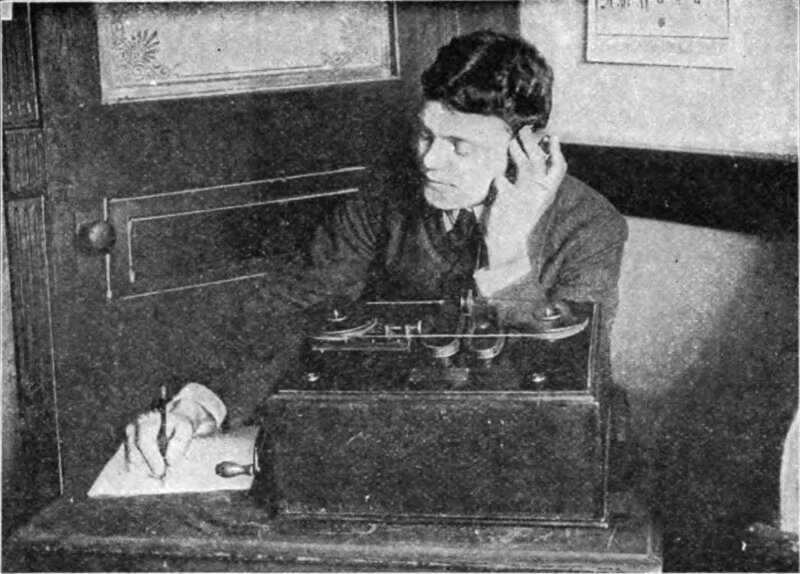 They can do so because of the invention of wireless telegraphy, but also because of the efforts of a handful of disparate amateurs who have forged themselves into the most successful team of cryptographers the world had ever known. It sounds like Bletchley Park in its heyday, during the war of national survival, as Alan Turing, Peter Twinn and their colleagues, wrestled with the complexities of the Nazi’s naval Enigma code – but it isn’t. It is what came before Bletchley, Turing or Enigma, and what made them all possible. It was the peculiar assortment of people operating together to crack the German naval codes during the First World War, and known collectively as Room 40. The scale was smaller, of course. Bletchley Park eventually employed tens of thousands. The techniques were less sophisticated – they used logic and literary comparisons rather than mathematics and early computing. But even so, the people who launched Bletchley Park and shaped it, and who managed Turing and Twinn in the first two years of the Second World War, had learned their trade in Room 40 of the Old Admiralty Building in Whitehall, and absorbed their lessons about how codes could be cracked and then used from a man who was, in his own way, a genius of Turing proportions: Captain Reginald ‘Blinker’ Hall. In that respect Room 40 was the forerunner of Bletchley Park. It involved a series of near-fatal mistakes about how you should use decrypted information – about the best use of information in complex organisations – which were not made again as a result when the same team formed again on a wartime footing in 1939. They were not made partly because Blinker Hall gave detailed advice to Captain John Godfrey, who occupied his chair as Director of Naval Intelligence in 1939. They were also not made because so many people who were key to Room 40 were there to kickstart a similar operation, in much more difficult circumstances, at Bletchley Park. I want to set the record straight by writing a short ebook called Before Enigma. So I am crowdfunding the book through the website Byline, and would be enormously grateful for any help – either by donating directly or maybe by copying this article to anyone you know who might be interested. Thank you so much. We now have two weeks to go, so any help you can give would be very gratefully received! AND! My ebook Jerusalem: England's National Anthem is on special offer for 99p this week. There is also a conventional print version here. I was listening to Women's Hour on the way back from the local dump yesterday morning and overheard an interesting item on Sweden - which could have been made exactly the same about the UK. Why - given that feminism is broadly triumphant in the way it has produced life chances for women - are women so stressed? It is a good question. The women's movement was supposed to be about liberation, and in so many ways it has been. And of course men don't always share the tasks that women were traditionally expected to do. That may explain the imbalance, but it doesn't really explain the stress. After all, with both partners economically active, there ought to be more money, more resources, more time - more everything. So why isn't there? 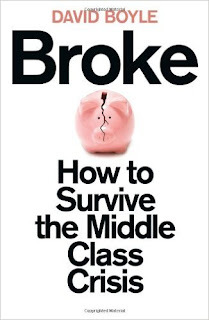 I think the answer is implied in my book Broke: How to Survive the Middle Class Crisis. It is basic economics, but somehow our leaders appear to be innocent of it. What happens is that the cost of housing rises to take account of the extra income. In fact, you could say that the mass appearance of middle-class women on the jobs market is one of the factors pushing up house prices over the last three decades. They earned money, which meant that bigger loans were available, so the house prices rose to meet them. That is how it works. Inflation is too much money chasing too few goods, and what we have seen since the deregulation of the mortgage markets is ever more reasons to lend more, so that the house prices rise to take account of it, and so the cycle goes on – in retrospect a terrifying rack for the middle classes. Just as it is a terrifying rack for everyone else. Terrifying especially if women didn’t want to work, because that freedom is now beyond them. Once lenders had began to calculate the upper limit in multiples of joint salaries, there was another escalation of house prices. It is part of the far bigger vicious circle that is caused by people desperately stretching to afford the home they want, and which is outpacing their income as they watch – a spiral that keeps on spinning: smaller houses, bigger loans, more salaries, higher prices, smaller houses and so on. So the loan terms get longer, the multiples get bigger, the houses get smaller, all to eke out a little more affordability - only to have the prices rise to meet the new boundary of affordability. And really all this stuff about there being too few homes is a drop in the ocean in comparison. That is why women are stressed. It is also, incidentally, why men are stressed. Because they are caught on the housing price inflation spiral and it squeezes them dry. As always, when an issue looms large in the House of Commons, the divisions are about the respective claims of capital and labour - though both now seem to be against the government's proposals to relax the Sunday trading laws. The news that the SNP is going to oppose this opens the possibility that the proposals may be defeated. I'm a localist so there is something to be said for the idea of setting the opening hours locally. But there is still a major reason why large stores should not in fact open for more than six hours on a Sunday. It comes back to the big, primarily Liberal, question of how we might stitch together a set of policies that are, above all else, pro-enterprise. Then we have to ask whether letting the big stores open on Sunday, and undermining the slim advantage that small stores have for one day only, would support entrepreneurs or not? Would it promote competition or not? Would it promote choice or not, over the medium-term? The answer to all three questions is: no. In fact, it would actively frustrate competition by embedding the privileges of the big retailers (and don't forget that Tesco, for example, insists that it should pay its suppliers after three months, providing itself with an interest-free loan equal to two months's stock). No, if we want to encourage challenge from below, and on the high street, then we need to keep the dinosaurs shut. It is a paradox, but we have designated Sundays as a day when challengers and entrepreneurs can compete on equal terms, and it should stay that way. There is the usual fatuous research, that is so often commissioned by government departments, showing how much extra revenue would be generated by ending Sunday's differences. But they never seem to evaluate how much is simply moved from elsewhere, or how much is lost by driving the challenging minnows out of business.